Create an account to register for a FREE demonstration class or a semester. Tuition is $167 per child and $95 for an additional sibling. Children 8 months and under may attend class for FREE with a registered sibling. Your tuition includes one CD along with an access code for the online Family Music Zone, a beautifully illustrated songbook with family activity suggestions. Classes include parent education to help adults understand and enhance their child's music development. Families will also receive a quarterly e-newsletter and access to the national informative website. 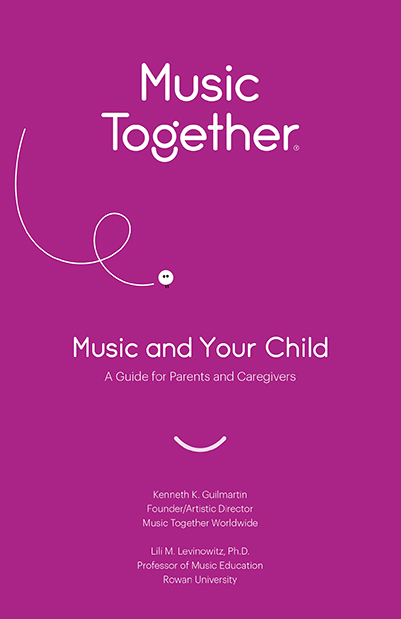 New families receive a DVD and booklet, "Music Together® At Home: Helping Your Child Grow Musically"; a guide for parents and caregivers.